Image by Glen Scott in the Londonist Flickr pool. Want to poke around inside a disused* Underground station? You and just about everyone else in town. So make a note to visit this page on Monday morning to get on a tour of Aldwych station. London Transport Museum is opening up the abandoned property throughout June. Tickets, as always, are sure to sell quickly. However, there are plenty of dates to choose from this time round, with the station open Thur-Sun each week throughout June. 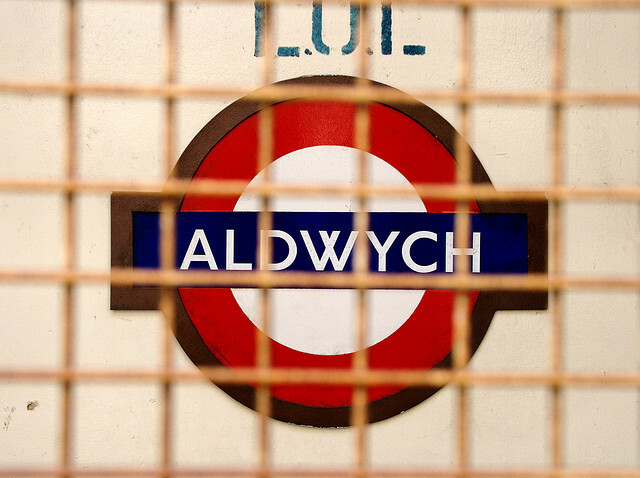 Aldwych, also known as Strand station, was a former spur of the Piccadilly Line, and closed in 1994. Of the many abandoned stations around town, it is the only one that is occasionally opened to the general public. Tickets go on sale Monday 10 February at £25 (£20 concession) and include a souvenir guidebook and half-price entry into the nearby London Transport Museum. Note that access to the station platforms is by a 160-step staircase (no lift available); over-16s only. *Pedant's note: disused in the sense that it no longer serves passengers but it is, of course, much used by film crews, including for the recent series of Sherlock.